The Dallas Cultural Plan is HERE! 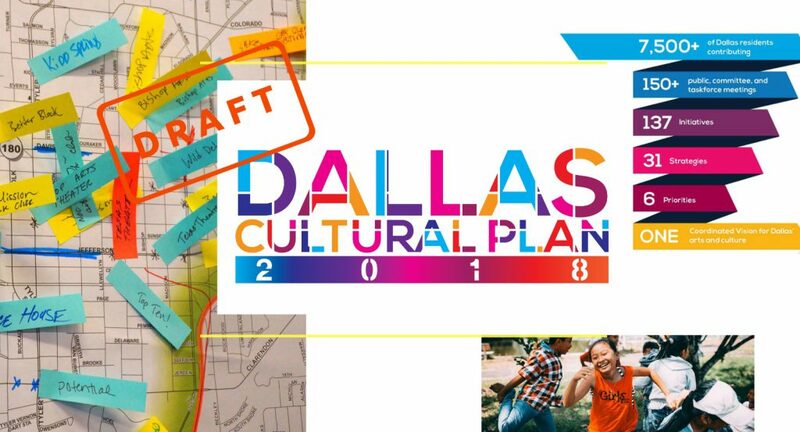 The Dallas Office of Cultural Affairs along with the Lord Cultural Resources team including BC Workshop, HR&A Advisors, and Idyllic Interactive is pleased to present the Dallas Cultural Plan. The Plan and an updated Cultural Policy were unanimously adopted by the Dallas City Council on November 28, 2018. This Cultural Plan and Policy are the culmination of a yearlong cultural planning effort, which included in-depth regional, national and international research, engagement across every zip code and district in the city, analysis of City plans and collaboration with Dallas residents, artists, organizations, City staff and leaders. –Equity: Support the broadest range of art forms and creative producers, considering inclusivity, diversity and neighborhood impact to direct resources equitably to artists and organizations. 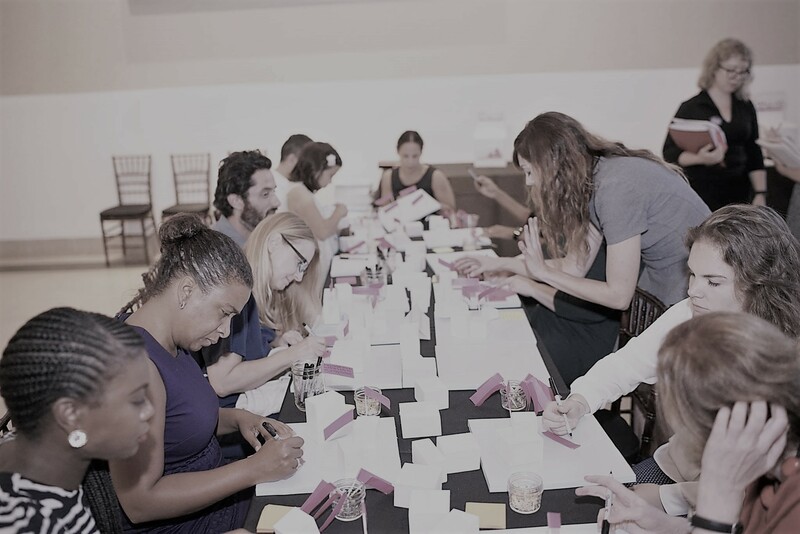 –Diversity: Celebrate and promote the diversity of Dallas, while striving to improve diversity of programming, staff and organizational leadership across the cultural sector. –Space: Provide, create and incentivize the creation of spaces and places to encourage and allow arts and culture in Dallas to thrive and grow citywide. –Support for Artists: Establish a supportive arts ecosystem that nourishes the creative and innovative energy of Dallas artists. –Sustainable arts ecosystem: Model sustainability to the arts and culture community through OCA’s facilities and encourage and support the development of future sustainability in the broader arts and cultural sector. –Communications: Promote culture as a fundamental driver of the city of Dallas. Ensure awareness at local, national and international levels of Dallas’ cultural offerings through enhanced communication. A cultural plan is an inclusive process that engages residents, artists, arts organizations, and other sectors to identify cultural needs, opportunities, and resources. It allows a city to think strategically about how to use its resources to help communities achieve their goals. Why a Cultural Plan for Dallas? How Was the Dallas Cultural Plan Developed? INCLUSIVE: virtual and in-person engagements were be held throughout the city– allowing Dallas residents to participate in the ways that are most comfortable. TRANSPARENT: the digital home of the plan (here) will be constantly updated with engagement information, presentations, virtual and in-person engagement opportunities. SUSTAINABLE: the plan will include economic impact and feasibility to ensure support and further grow the arts in Dallas. Research and Engagement: Residents of Dallas can have their voice heard about the future of arts and culture in Dallas. TO VIEW THE PHASE 2 FINDINGS PRESENTATION CLICK HERE. Understand and Assess: DCP2018 will be in your neighborhood. Join the conversation. Draft + Refine: Did we get the plan right? Join OCA in verifying the direction of arts and culture for Dallas.